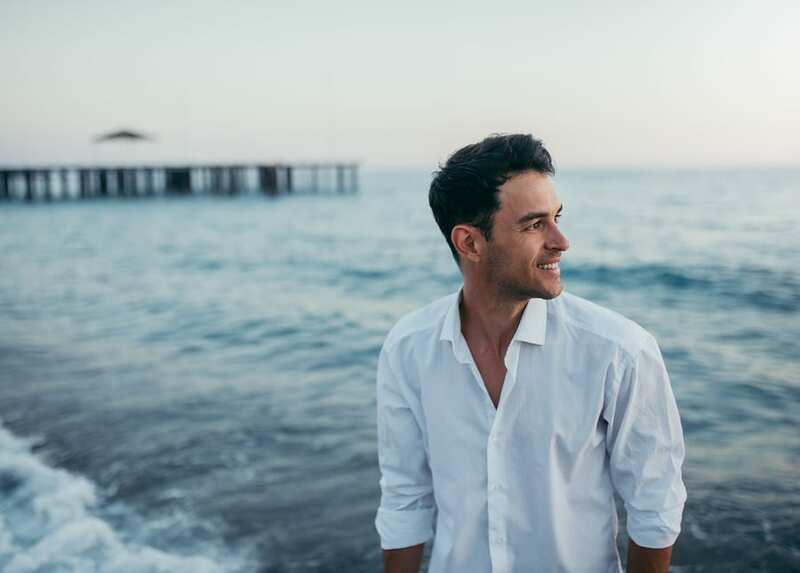 We are a Malibu mental health rehab center that offers therapeutic care for individuals suffering from mental health as well as co-occurring disorders. Seasons in Malibu is proudly accredited by the Commission on Accreditation of Rehabilitation Facilities. We offer residential treatment in a luxurious setting, and assist individuals with a wide array of needs. Individuals who work through the mental health treatment program at Seasons in Malibu are overwhelmingly happy with the results of the care they receive here. Ninety-five percent of clients recently surveyed said that they would refer a loved one or family member seeking rehab to us. The satisfaction of our clients is of utmost importance to us. We believe the fact that they overwhelmingly recommend us is proof of the quality and empathy new clients can expect throughout the detox and recovery process. Looking for a professional Mental Health Rehab Treatment Facilities in California? At Seasons in Malibu, we understand that mental health is a long-ignored component of our overall health. The emphasis on recovery for individuals becomes sidelined due to the heavy focus on addiction in most treatment environments. Discover our mental health facilities. Seasons in Malibu offers a world-class PRIMARY mental health rehab program designed to address your specific disorder and restore you back to your best self. We firmly believe that healthfulness and mental wellness are intrinsically connected. Up until recently, the importance of mental health in terms of one’s fitness has been woefully under-recognized. Thankfully, the value of mental health facilities has been increasingly recognized by health providers, as well as the legislatures who govern laws pertaining to access to health care. One of the challenges that is somewhat unique to mental illness is that people suffering from it are often able to hide their symptoms from others. What often happens as a result of this is that an untreated mentally unwell person is ultimately sidelined by their illness. Unfortunately, despite gains in access to mental healthcare, issues of mental health are often still maligned in society, and many individuals feel shame around their illness. This shame frequently leads to apprehension around seeking help. The fear of being labeled as “unwell,” or derided for perceived weakness can also prevent mentally ill people from being open about the issues they’re facing. Seasons in Malibu Mental Health Rehab Center offers a CARF-accredited, licensed, stand- alone facility, strictly dedicated to mental health treatment, overlooking a private beach, in beautiful Malibu, California. Once admitted, clients are safely ensconced in a warm, beachy ambiance, with close-up ocean views, a private path to the beach, sumptuous meals prepared by our chefs, and 24-hour compassionate care from our staff. A typical day might begin with a beach walk followed by yoga and breakfast, and end around the fire pit with other clients, processing what you have learned and experienced that day. Comprehensive Assessment and Diagnosis. Seasons likes to take time in ensuring your diagnosis is accurate. Our Medical Doctors and Clinical Psychologists work very closely together and rely on spending as much time as necessary in order to fully understand you, your symptoms, and how your mental illness has impacted your life. Medication Management and Alternative Medicine. Seasons understands that not every client is going to feel motivated to participate in traditional western medicine. Although the research provides significant evidence to support the proper use of psychotropic medications, we offer a variety of non-medical interventions and solutions that promote symptom management. Some examples include holistic interventions such as: Acupuncture, Mindfulness, Craniosacral Therapy, Yoga and Nutrition Plans for Mood Management. Emphasis on Individual Treatment. Many mental health facilities say they offer individualized plans for your treatment, but none actually increase the volume of individualized care. Seasons offers you up to 54 hours of one-on-one sessions, including cutting-edge modalities, while in treatment with a variety of Doctors, Psychologists and holistic practitioners. Sessions will include: Doctoral Level Primary Therapy, Masters Level Case Management and Psychiatry. Treating the Whole System. Seasons is interested in creating a shift for the whole system, not just the individual. Mental health does impact those around us and by offering ways to reach them, educate and work with them personally, offering resources and support, the client can feel a much greater sense of relief returning back into their environment. Evidence Based and Cutting Edge Interventions. Seasons is focused on your success. We utilize only the latest in mental health intervention strategies that have proven outcomes. Some of these strategies may include: EMDR, Brainspotting, DBT, EFT, Social Skills Training, TMS, Somatic Therapies and CBT. Systemic Family Treatment. Seasons believes the family system supporting the client, during their time in residence, is a critical component for overall healing. Our dedicated and compassionate staff make it a priority to include a client’s family in treatment. Often times loved ones can feel lost, angry and resentful during this process, creating greater difficulty for the client to feel understood. By ensuring a foundation in family programming, Seasons in Malibu Mental Health is committed to providing the greatest opportunity for success. Support and Aftercare. Your aftercare planning begins the moment you step through our doors. Receiving mental health treatment while in residence at Seasons in Malibu Mental Health is the ideal foundation for your long-term success. We work to ensure that upon your discharge, your success is continued by continued interaction with our team of professionals, or by connecting you with elite professionals and care providers that understand your specific needs wherever you live. Mental health does not occur in a vacuum: The impacts of an individual’s symptoms can reach loved ones, co-workers and friends. Dealing with a mental health disorder can leave you feeling confused, hopeless, exhausted and desperate to do anything to make the negative impacts of mental illness go away. Let Us Help and Together We Can Make a Difference in You or Your Loved One’s Life. If you or a loved one is struggling with mental health, please call our Mental Health Rehab Treatment Center in Malibu to have a free, no-obligation, confidential conversation with one of our caring admissions counselors about how Seasons in Malibu can help.